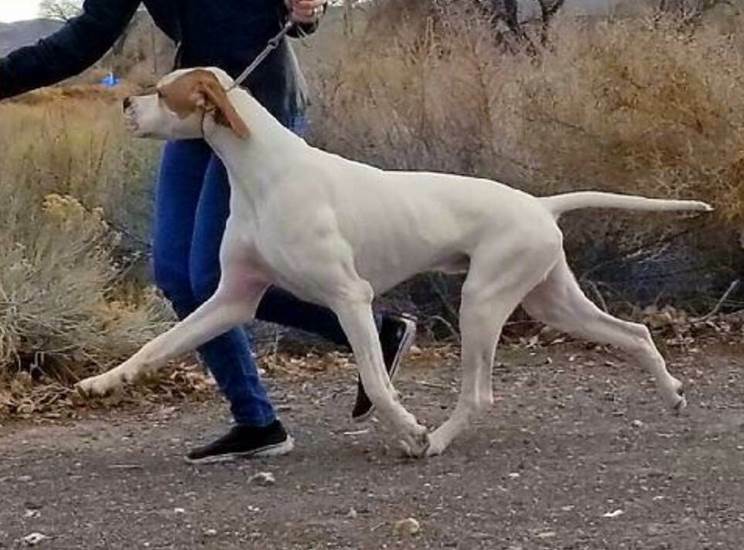 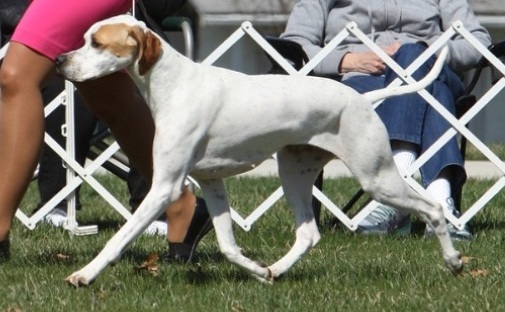 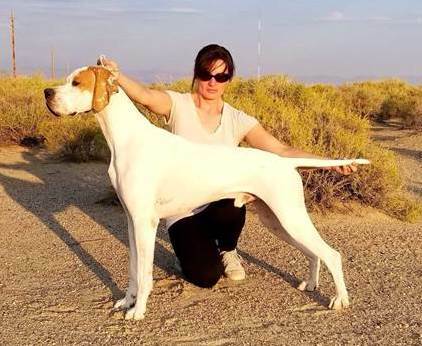 bred to 'Jared', Polish Import INT CH Jared Z Karczewskiej Zargrody CA B-CAT !! 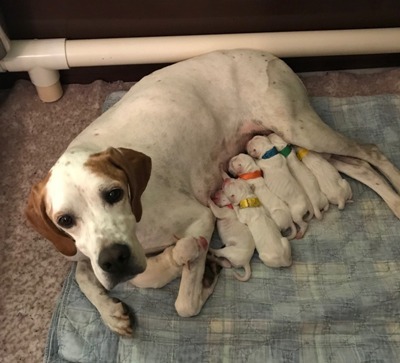 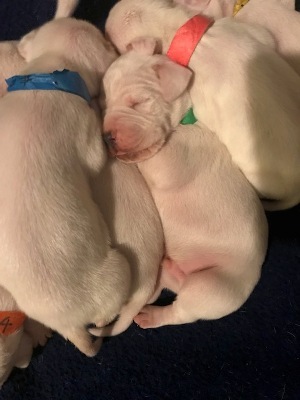 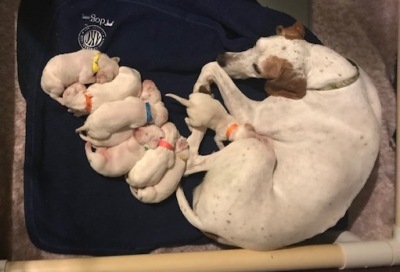 We have 8 puppies, 4 males & 4 females, borh 12-11-2018. 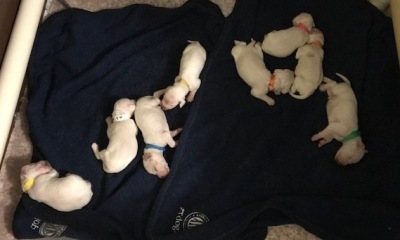 All are orange & white. 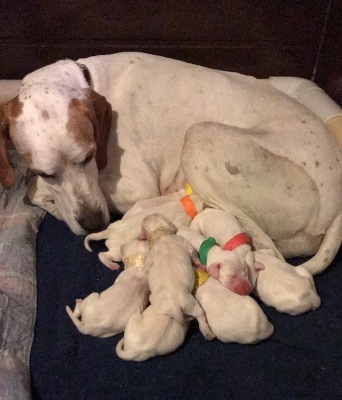 Our first Pointer litter is 6 years!